Stockholm lies on the eastern side of Sweden, on the Baltic Sea facing Finland and Estonia. Home to a beloved royal family, excellent baked goods, an obsession with coffee, incredible design and innovation, and a sea-faring heart, Stockholm obviously has lots to see above ground. But, if you have a minute, let me show you Stockholm's awe-inspiring underground...an art and sculpture gallery like you've probably never seen before. At least I hadn't. I only made it to 7 art-filled stations in my 1.5 days in the city, but the rest are on my list. Usually I spend very little time in museums (or indoors at all) when I'm visiting a new city because I like to get the feel of a place by how the locals live. This is why, when I'm not walking, I take the subway (also much cheaper and faster than the tourist hop-on, hop-offs). Here I should add that in sea-faring cities (Venice, Hamburg also come to mind), travelling with a public transportation pass also gets you onto all of the commuter ferries and boats, so if you like to get on the water when exploring a new city like I do you can't beat going the way of locals. 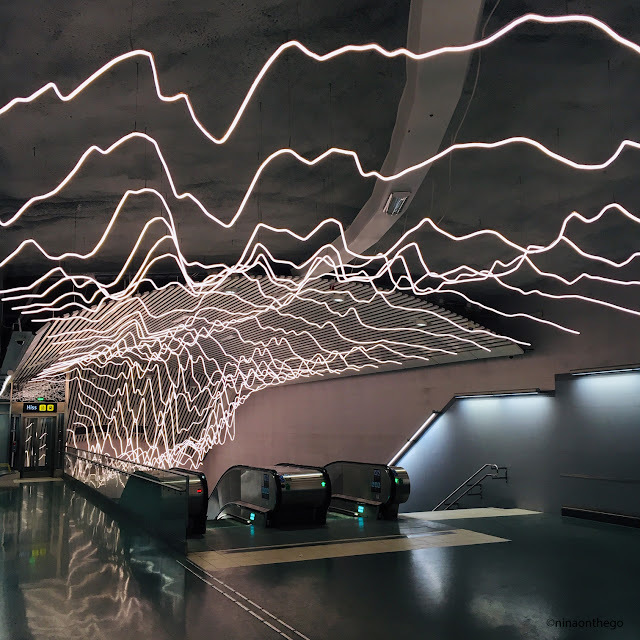 One of Stockholm's oldest stations, and one of its deepest, is Östermalmstorg, featuring sketches by then 77-year-old artist, Siri Derkert. Her life's work had centred around peace, the environment and women's rights, all of which are reflected on the station's walls. Eight years later, in 1973, Tekniska Högskolan station opened, allowing easier access for students to the city's well-known technical university. The station celebrates scientific achievement and advancement, with my favourite aspects being the 5 regular polyhedra representing Plato's five elements. It is a truly stunning subway station. When I read about Odenplan's station I knew that I needed to see it. The artist's inspiration touched me. 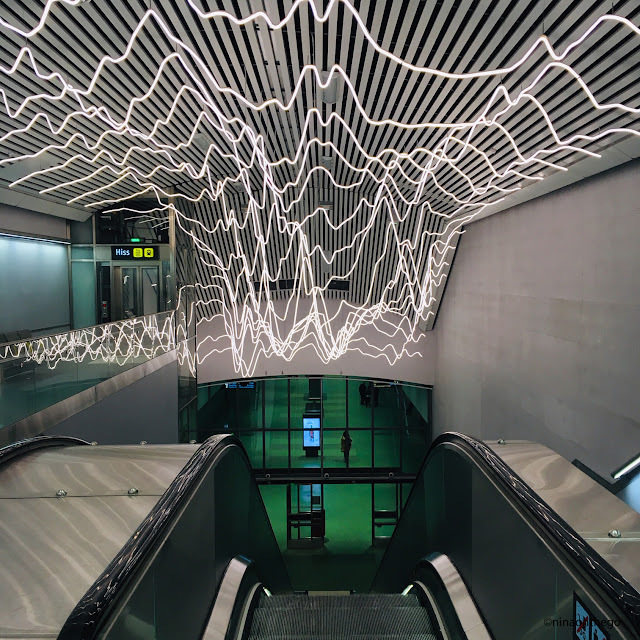 Opened in 2017, with 400 metres of LED lighting, David Svensson's "life line" depicts the electromagnetic waves of his son's EKG as he was being born. Needless to say, this is not a dark station. The colourful rainbows and sky blues remind the busy commuter that the sky is not far above in Stockholm's first cave station, Stadion, built in 1973. If you want a photo without people you'll need to get there early as it's popular with photographers, along with quite a few of the other stations. Kungsträdgarden is an eyeful of everything imaginable - sculptures, mosaic, gargoyles, floral and fauna. The station lies directly underneath the former Makalös Palace which burned down in 1825, leaving just the French gardens and a very popular destination for locals: the station's namesake. The station features replicas of the statues from the former palace's gardens, and bids homage to the history of life above. The deep red of Solna Centrum's setting sun above the forests of Sweden is a sight to behold. The station was built in 1975 but much of the added artwork depicting central political themes of the area, such as deforestation and the depopulation of rural areas were added long after the reds and greens. And my Favourite Station Award goes to T-Centralen. The first station to feature art, and the hub of Stockholm's underground system, the artwork's aim was to bring calm and a moment to pause for the busy folk traveling to and from work and school. 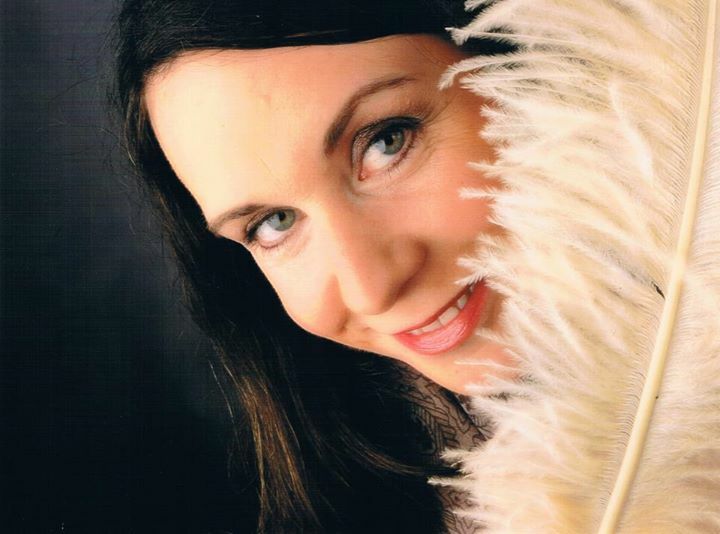 The floral and leaf motifs in peaceful hues of blue do their trick, in my opinion. 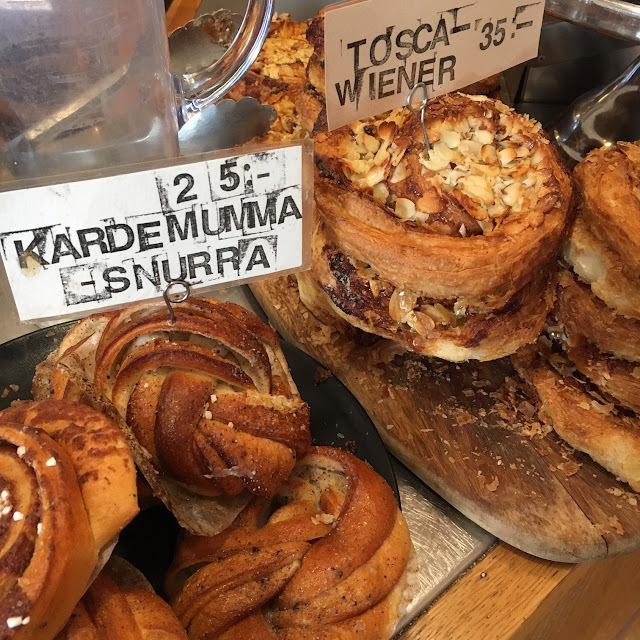 Any short or long tour in Stockholm would not be complete without one (or two) stops for fika. A beloved break involving coffee and baked goods is a must for the Nordic hygge way of life, and a practice I wholeheartedly can get behind. Try the Kardemumma-snurra when you're in town. I have no idea what it's name means but it's seriously delish. And enjoy the candles which are lit in all cafes and restaurants during the day...just adding to the hygge feeling of cozy, comfortable and communal. -don't bring cash. Many places don't even accept cash. Everyone uses a debit or credit card. -buy a 24 hour public transit pass (converts to about 13€, $15) and is much more cost-effective than a tourist bus or boat. Get on the water, to the islands with the commuter ferries included in the transit pass.